Have you or a loved one undergone testosterone therapy with AndroGel, Androderm, Axiron, Testim or another prescription testosterone replacement product? If you’ve also suffered a heart attack, stroke, or other life-threatening cardiovascular event, it is possible that your heart problems were caused by the testosterone drug you were using. Alonso Krangle LLP is investigating low testosterone treatment therapy lawsuits, and is offering free legal consultations to anyone men who experienced a heart attack, stroke or other serious heart problem while using drugs like AndroGel, Androderm, Testim, or Axiron. To learn more about filing a low testosterone treatment therapy lawsuit or other possible legal options, please contact the testosterone therapy lawyers at Alonso Krangle LLP today. 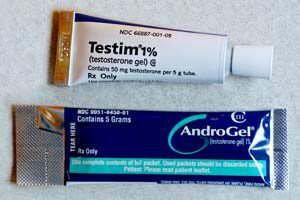 AndroGel, Androderm, Testim, Axiron and other testosterone replacement products are prescribed to treat fatigue, decreased sexual virility or other symptoms associated with low testosterone levels, or “low t.” Thanks to aggressive direct-to-consumer marketing campaigns, use of testosterone therapy has increased in recent years, with sales of such products reaching $1.9 billion in 2012. The FDA has only approved testosterone therapy for men who lack or have low testosterone levels in conjunction with an associated medical condition, such as chemotherapy or certain genetic conditions. However, there is some evidence that many men with normal levels of the hormone are being prescribed these drugs to treat symptoms normally associated with aging. On January 31, 2014, the FDA announced it was reviewing the safety of testosterone replacement therapy, after an observational study published in the Journal of the American Medical Association (JAMA) in November 2013 suggested that older men with underlying heart disease faced a 30-percent increased risk of stroke, heart attack, and death if they were undergoing testosterone therapy. A second observational study reported an increased risk of heart attack in older men, as well as in younger men with pre-existing heart disease, who filled a prescription for testosterone therapy. Among men 65 or older, the heart attack risk rose by two-fold during the first 90 days following the first prescription. Younger men with pre-existing heart problems faced a two- to three-fold increased risk of heart attack in the first 90 days following a first prescription. It’s important to note that the FDA has not concluded that prescription testosterone treatment increases the risk of stroke, heart attack, or death. But the agency has recommended that doctors consider whether the benefits of testosterone replacement are likely to exceed the potential risks of treatment when prescribing these drugs. If you or someone you care about suffered a heart attack, stroke or other heart problem while undergoing testosterone treatment with a product like AndroGel, Androderm, Testim, or Axiron, you may be eligible to file a low testosterone treatment therapy lawsuit against the maker of the medication. To learn more about the legal options available to you or how to file a low testosterone lawsuit, please contact the testosterone therapy lawyers at Alonso Krangle LLP by filling out our online form or calling us.